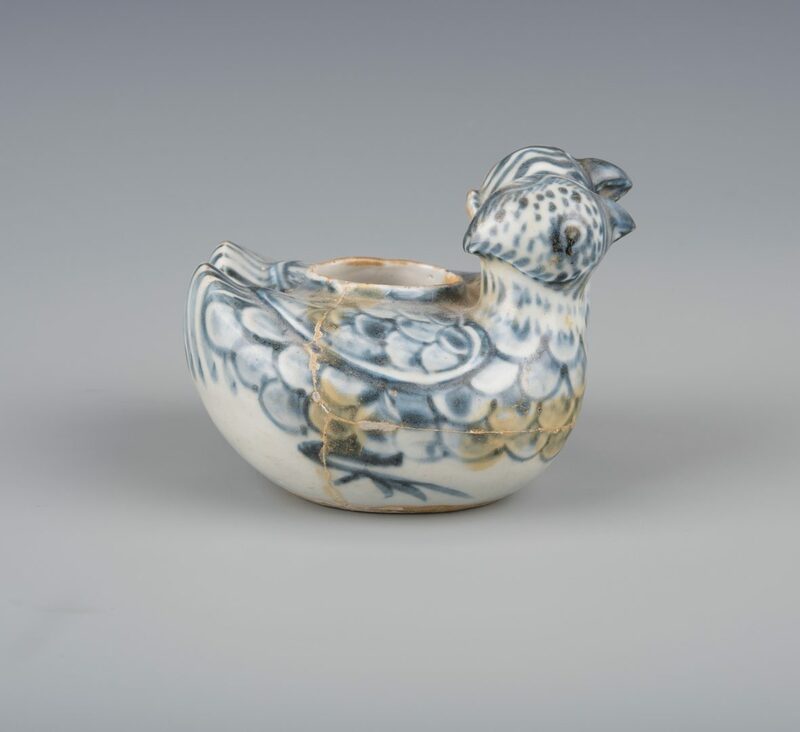 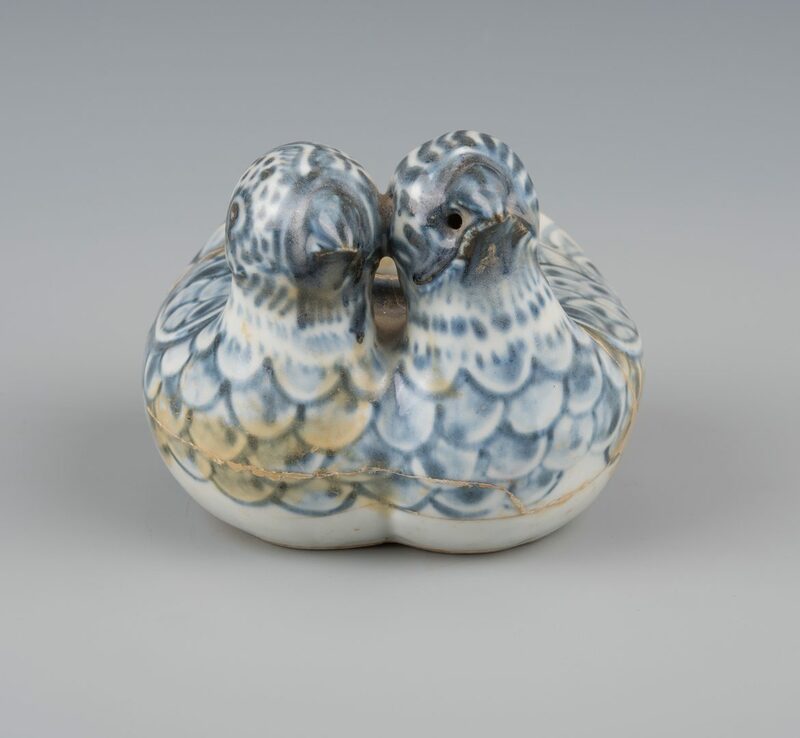 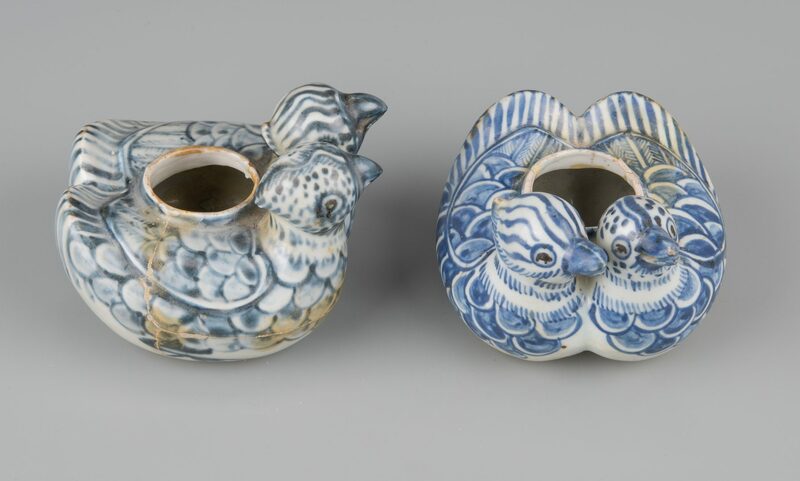 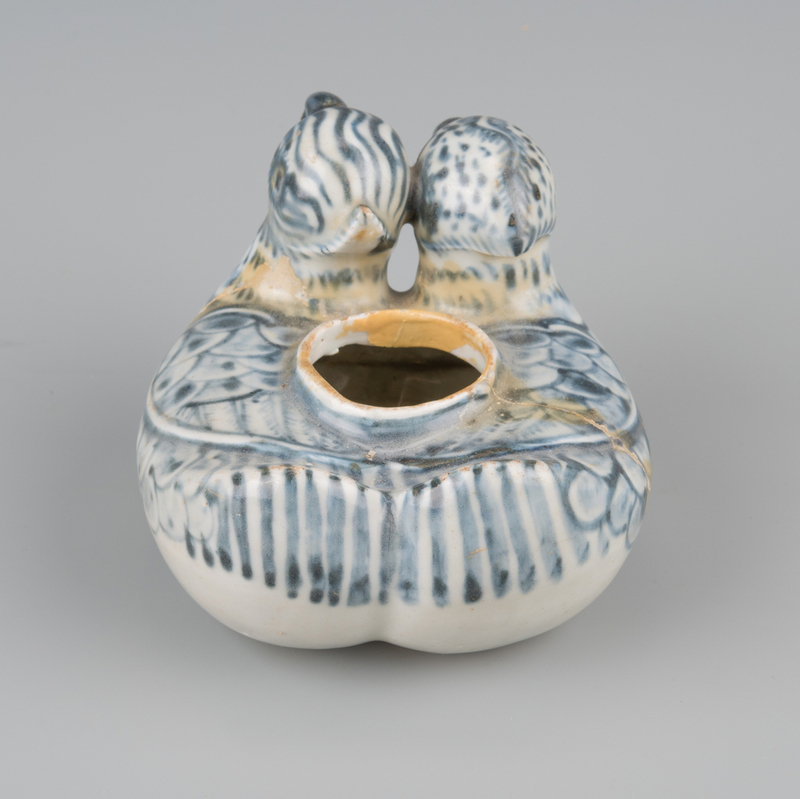 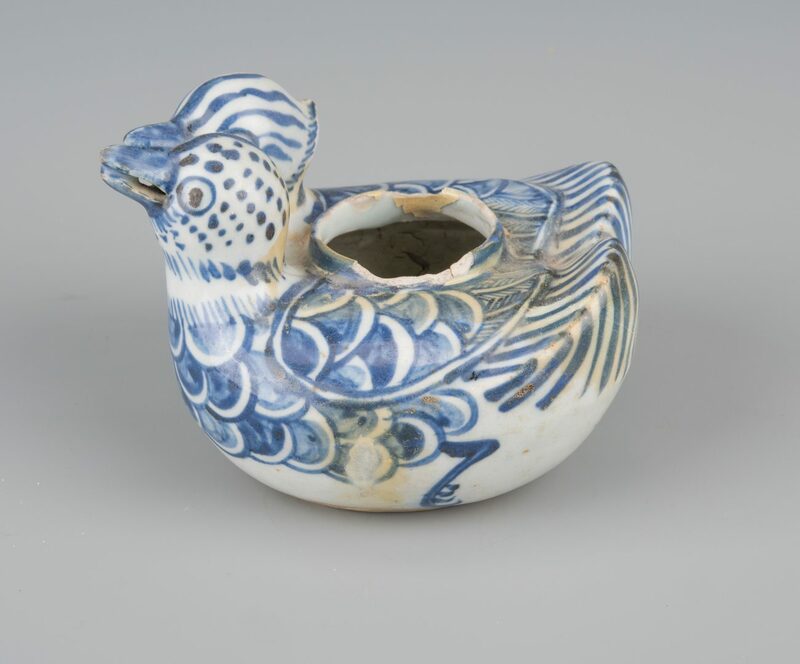 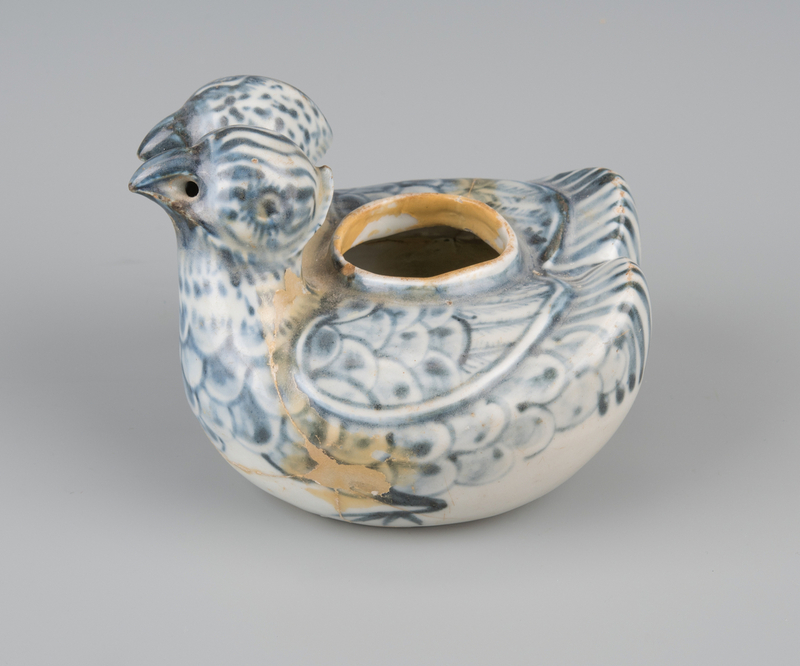 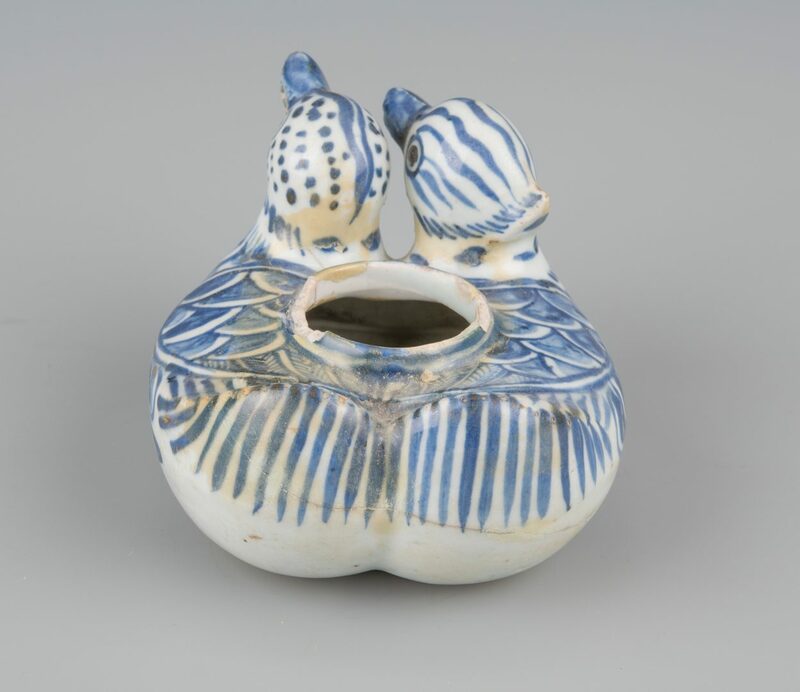 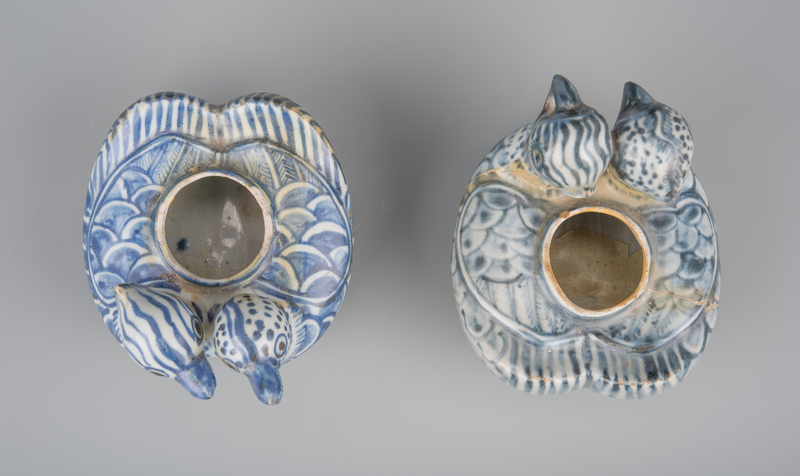 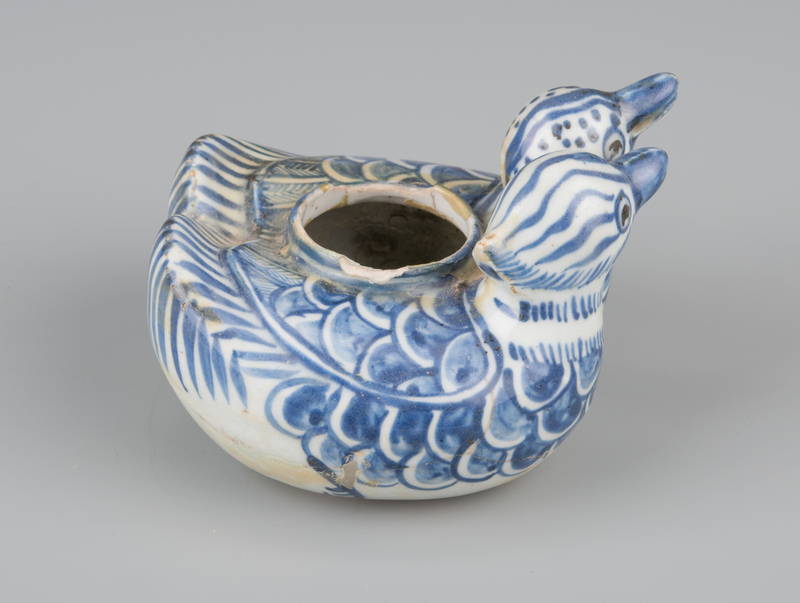 Two Chinese blue and white glazed porcelain water droppers, each modeled as a pair of Mandarin ducks, 3 3/8" H. Possibly Ming period. 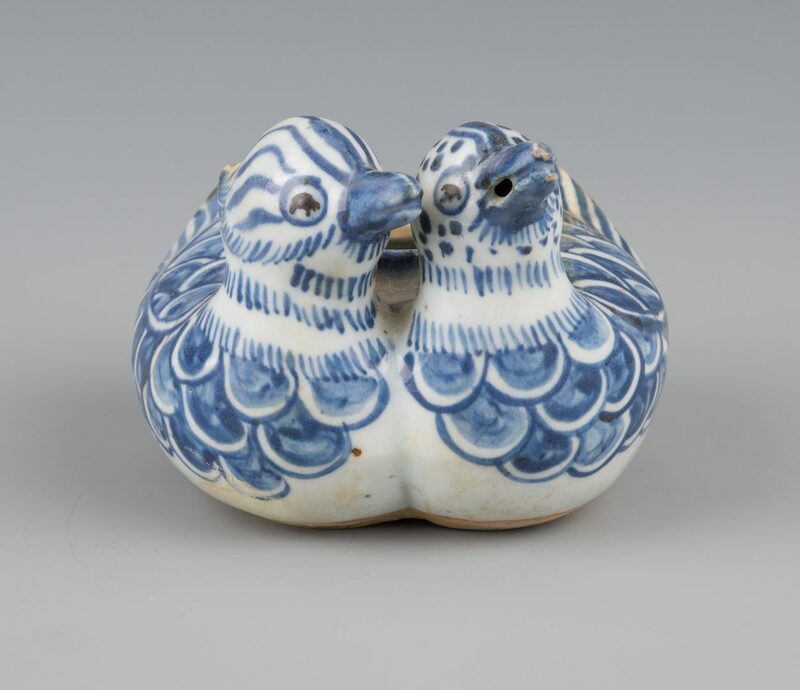 Provenance: Purchased from Chinese nationals by a U.S. government employee, working in Southeast Asia shortly after the Cultural Revolution. 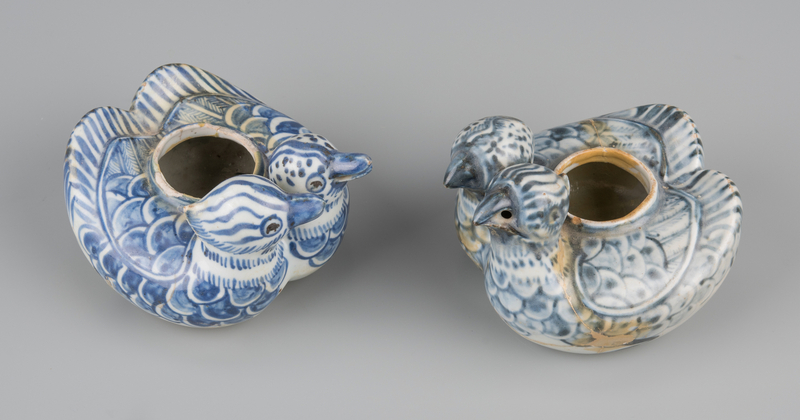 CONDITION: 1st pair of ducks: extensive restoration (has been broken and repaired). 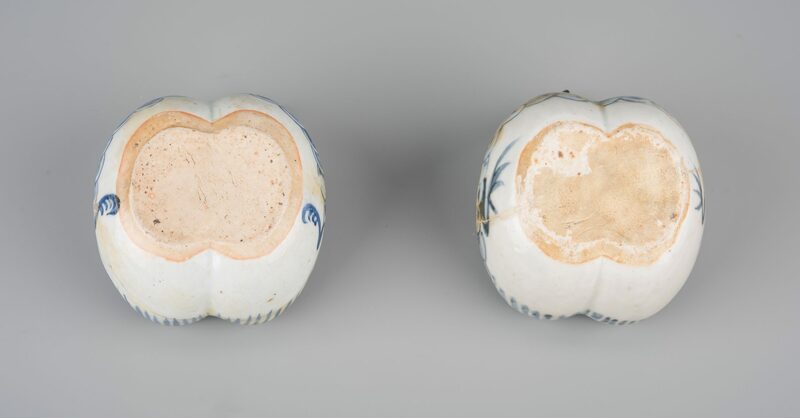 2nd pair: 1" chip and 3/4' chip to rim of opening, hairline to neck, repaired crack to body extending from tail area. Both lacking lids.